To all my readers, I wish you a happy New Year! Stay tuned, as there will be more blog posts in 2014! Patch your Java & Adobe or uninstall it if you don't need it. Same goes for their browser plugins or add-ons! Keep your browser of choice up-to-date. Install an antivirus and antimalware product and keep it up-to-date & running. Use NoScript in Firefox or NotScripts in Chrome. Stay safe folks. May you all have a great and malware-free 2014! Spam runs never get old. Whether you have received a package from UPS, FedEx or even PayPal notifications, they either lead you to (poorly crafted) phishing websites or malware (mostly Trojans like Zeus). invoiceXXXXXXXXXXXXXXXXXX.doc, where XXXXXXXXXXXXXXXXXX is a random string of 18 characters. I haven't seen any other possibilities (yet). What's happening exactly when we are trying to open this with Wordpad? I can tell you: you just see the same thing as is happening above with Notepad++. When using OfficeMalScanner (downloadable here) it is being revealed there's a (vulnerable) OLE document embedded. There's an excellent post over at SANS here as well on the usage of this tool. Unfortunately OfficeMalScanner was unable to automatically extract malicious shellcode, but after some manual work I was able to receive another file, which ultimately delivers another exploit. Those are an awful lot of REG.exe processes, right? In case you're wondering, REG.exe is a legit Microsoft file - or tool- to edit the registry. A process called WINWORD.exe is present, but neither vendor or description name are mentioned. Obviously this isn't the legit Microsoft Word, as that application had crashed. The first time I was reproducing this exploit in the works, it also dropped another file. Unfortunately I was a bit too fast and forgot to take a copy of that sample as well. I was not able to reproduce the spawning or creating of the latter sample. The reason for these domain names are probably to fool network administrators who are possibly taking a peek at the packets passing through their appliance: "Oh, it's just for DNS queries." , one may think. Nothing's less true though. The payload can vary in this case. According to VirusTotal results, it may be ransomware. I was unable to reproduce that kind of behaviour. I have feelings it may be a Bitcoin miner or simply Zeus/Zbot again. Kaspersky had apparently noticed the same campaign, in their sample it's a Brazilian banking Trojan. You can read that article here. Install ALL your Windows Updates! These exploits are long patched by Microsoft. Block ALL the IP's mentioned above in my post. Install a proper antivirus & antimalware solution. In a company: you better have a spamfilter! Look for suspicious Run keys (examples here) and delete the associated file(s). Run a full scan with your installed antivirus product. Run a full scan with another antivirus and/or antimalware product. In a company: warn your network administrator immediately! One might wonder if this is a so-called "APT" (Advanced Persistent Threat). I highly doubt that. Using these exploits, it's clear they are prooftesting their possiblities. How many have fallen or will fall for this campaign? How much of these mails were sent out anyway? There's no sure way of knowing. Interestingly enough, another PluginDetect was also trying to check for vulnerable versions of VLC, SilverLight and Flash. Let's move on to the actual payload. Thanks to a blogpost by Barracuda Labs, I was able to download the PCAP file they gathered. The following malware was seen to be downloaded: Fareit, ZeroAccess (GoogleUpdate/Google Desktop variant), Zeus and even ransomware (unknown) in one instance! I don't need to mention that this is quite bad. Have you visited PHP.net yesterday or today and saw your browser crash? Did you notice any strange behavior? Yes? No? Either way, perform a scan of your machine right away. We'll get back to that though. Perform a full scan with your installed antivirus and a scan with another antivirus or antimalware product. You can check on VirusTotal which antivirus applications already detect this malware. My account was inaccessible until the 18th of October, when they "un-suspended" it. Luckily my followers & following were recovered. As to this date, I haven't had any reply from Twitter, despite replying to their ticket. I have noticed however that I was tweeting about an account which was massively spamming Twitter. That tweet is still deleted. Not sure if it had anything to do with it, but I don't see too many other possibilities. You can't send any links in DMs anymore, so I guess Twitter is getting more restrictive. Which is a good thing. I just hope they won't produce any more false positives ;-) . I will update when I receive any news from Twitter. 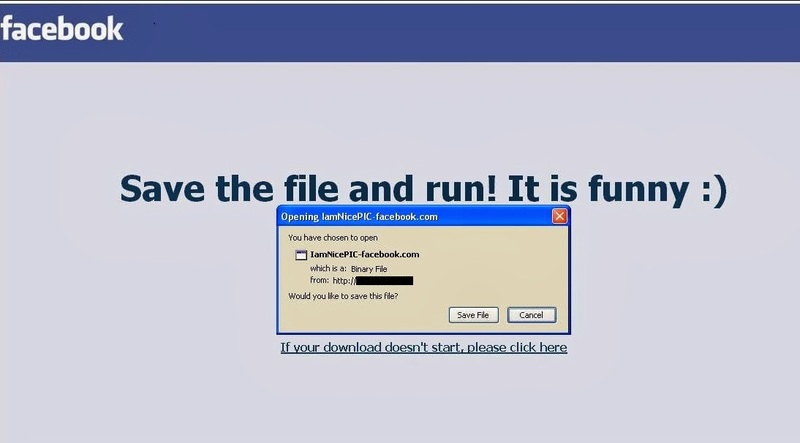 Download and execute the facebook app, please! I think you get the point here. 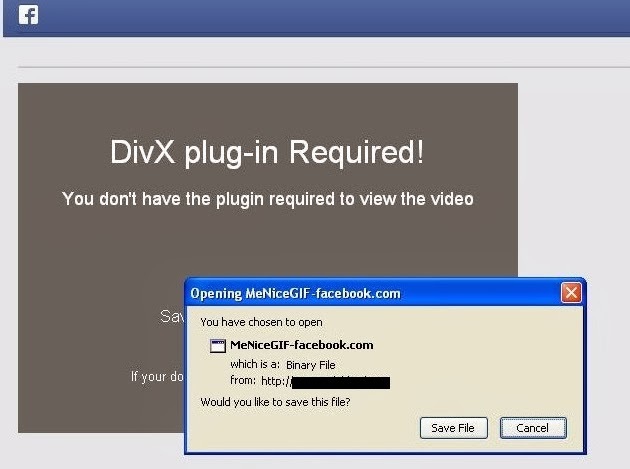 Users are being socially engineered to download a file that seems to originate from Facebook. The file is supposed to be an image file (PNG, TIFF, BMP, JPEG and even "PIC") but is in fact an executable. The initial landing page also ends in names of females, for example "laura.html" or "birgitta.html" . Trojan:Win32/Tobfy is a family of ransomware trojans that targets people from certain countries. It locks your PC and displays a localized webpage that covers your desktop. This webpage demands the payment of a fine for the supposed possession of illicit material. Note that links may still be live! is it the user for being "gullable" or being social engineered to click on a malicious link? is it the fault of the antivirus or antimalware application for missing an infection? is it the fault of the administrator in corporate networks for not having proper policies? last but not least side-question: is antivirus useless? businesses: personal records stolen (user/password databases), business plans stolen, not to mention the financial & productional losses. antivirus provides a good (basic) layer or level of protection on your machine. Is it sufficient? Maybe. Do you need extra protection? Depends. If you're a normal "home user", an antivirus and firewall will surely suffice. Free or paid antivirus doesn't really matter at that point. If you're in an organisation or corporation, antivirus will surely provide a good base to start from, not only signature-based but heuristically as well. But you'll need more. Ideally, you need an extra set of eyes just for monitoring unusual behavior in your network. Is this realistic? Maybe. Are there solutions specifically designed for this on the market? Yes. I won't go any deeper into the points above, as it's been discussed & debated upon many times. Do ISPs (Internet Service Provider) need to take an arrow in the knee for this? How many and which ISPs are already detecting machines which are infected? These are newer and interesting questions as well. ISPs are obviously not responsible when a user is getting infected, however... When that machine in question starts sending out quite a lot of traffic (zombie), does the ISP need to take action? In my opinion, if there's indeed an unusual load of traffic coming from a machine (sending out mass emails, trying to DDoS a box, ...) the ISP should indeed warn the user. You have no proper security implementations! You(r employees) are easily fooled! It so appears that every single person is forgetting the simple fact that malware writers are actually the cause of one's computer issues. Not antivirus. Not Microsoft. Not the user. Not the ISP. You can basically view these as buffers. Buffers against the malware. Buffers against the bad guys. Yes, you reading this now, you're actually a buffer as well! Do you have any idea on how often companies are suffering from attacks? How many attacks are actually prevented by $securitysolution, sysadmins and even users? Why am I using the word "entity" you may wonder? Well... You must know that malware writer and botnet operator aren't actually synonyms (as opposed to suggested above). The malware writer isn't necessary a botnet operator or the other way around. One thing's for sure though: they both take the blame here. The malware writer for creating and distributing the malware in the first place. The botnet operator or herder for consequently infecting users. I propose a new model. One where nobody gets the blame, except for the malware writer malicious entity. A model where nobody points the finger to the user, which seems to happen in quite a lot of the cases. Indeed, a joint effort is necessary in this particular subject. It requires effort from all the involved parties. Should know there's no 100% protection. There's a maximum of 99(,9? )% protection at least. Should acknowledge the cat and mouse game between "viruses" and "antiviruses"
That's basically it. If by now you're still thinking things like "users are gullible", "X antivirus is really bad", "Y security company is really lacking", "Windows is filled with vulnerabilities", "Java, Adobe, etc. are so easily exploited", .... Then you missed the point of this post. Start again from the top. prioritize security and provide sufficient information about security patches. Share your research, especially new malware trends. Everyone benefits! Found anything interesting? Don't hesitate to share. Note: I realize there are sometimes reasons specific findings or research may not or cannot be shared. Obviously these specific situations should not be shared then. If you're in this industry, I'm sure you'll know why. An alternative some companies are applying is simply not naming who or what has been affected, but still outlining the incident, solution approach and solution on itself. Share, where appropriate, MD5 hashes so the community can benefit. Note: I realize there are more than enough (malicious) webhosts out there which do not list an abuse@ address, provide a fake one or do simply not reply. If you are a webhost, start implementing proper security checks so there's no malware being hosted on one of the websites you provide. Provide an email address or online form where security companies and/or researchers and users can send their abuse reports. Don't panic. Panic is a bad counselor. Stay focused and note down what happened or at least what you noticed or think what happened. What did you do right before the culprit happened? Did it turn out your version of Office or Windows is illegal? Did you click on a link? Did you pick up a call from "Microsoft Support" but ended up in paying countless dollars/euros/pounds/etc. for a problem that didn't even exist in the first place? Have you been infected with malware (in particular banking malware or ransomware)? Were you the victim of CC theft, identity theft or any other form of online fraud or theft? Is this of no useful information to you? Exactly. More resources should be available for this. Contact your local police office and file a "cybercrime" complaint: you're a victim! Consult the website of your local CERT - Computer Emergency Response Team - Often they have additional information or may even have a hotline or contact form to report your incident. In this post I have addressed the current situation in regards of a malware infection and its results. Who is to blame? The answer is simple: the malicious entity. This may sound mysterious but as indicated above, I mean the malware writer and/or botnet operator. You can also call it the "cybercrook" or "cybercriminal" or whatever term best suits your needs. Look at yourself before pointing the finger to others who have in fact provided you all these years with resources! Work together. Cooperate. Coordinate. Consolidate. You may call it "the 3 C's". Be victorious in your efforts to stop "cybercrime" once and for all! Originally I had named this blogpost "Responsibility with malware infections", but as the post (yes, you may call it a rant if you like) continued to grow, I realised the current title fits the subject in a more appropriate and understandable way. Though you should still take your responsibilities when this kind of incident happens. Questions? Comments? Feedback? Suggestions? I'm all open for it. Give me a shout-out on Twitter or simply post a comment below. I'll try to answer as soon as possible. Please do not reply to this email. This mailbox is not monitored and you will not receive a response. For assistance, log in to your PayPal account and click the Help link in the upper right corner of any page PayPal. Copyright © 1999-2013 PayPal. All rights reserved. Exploit-Analysis is a new service and looks very promising, besides doing the basic stuff (meta-data dump, strings, tcpdump, ...) you can also view the entropy of the malware, as well as choosing browsertype and Java/Flash/Adobe version. In particular for JAR files, it can also display the classes included and thus can be used to analyze a malicious Jar file online (you can do this offline with JD-GUI for example). Sandy developed under Indian Honeynet and is capable of doing both static and dynamic analysis of Malicious Office, Jar,HTML files at the moment. Win32/Medfos is a family of trojans that install malicious extensions for Internet browsers and redirect search engine results. It also allows for click-fraud, generating profit for a website through unethical means. Don't click on links from unknown senders. Don't open any attachment(s) of unknown senders. In fact, don't even open mail from unknown senders. When in doubt, visit the website of §vendor or §product or §service directly. Block the IPs mentioned above in your firewall or hostfile or §solution. I almost forgot: uninstall Java. It's the scam season. Well, actually scams are always going around. Facebook is pretty popular to spread those scams, for example the Gina Lisa Facebook scam and the scam to have Facebook in a different color. Basically what happened here is that someone on Facebook clicked on the wrong link, and the event got automatically created. Consequently, all of his/her friends were invited to the event as well. Of the 4 pages that showed up in the search results (there are many more), ~500 people clicked on the bit.ly links. Which is not very much, considering how many people got the invite. Most of the comments on the events were "What is this? ", so this means most people realised it's fake. More affiliates, more links to click on. The title for this blog post could also have been "affiliates, affiliates everywhere". don't fall for these types of spam/scam, most of the times it's pretty obvious it's fake. If in doubt, send your friend on Facebook (or if someone sent you the link) via PM if he or she knows what this is about. A malware (crossword) puzzle you say? Yes! Why not? I must note I made a small error, (5) down is "disaster" when it should have been "doubt" (FUD). So just fill in disaster there. There's no prize, it's just for fun. Enjoy! Last year in September I wrote an article for Hakin9 on how to detect, identify and of course disinfect a machine from malware. The malware scenario on itself has also drastically changed. Where in the past, malware was created for showing off your skills or gaining your 15 minutes of fame (remember LoveLetter? ), it is now almost solely used for the purpose of making money. If you are reading this article, you have already helped someone getting rid of malware infestations, or you at least have an interest in the basics on how to clean malware from an infected machine. More tips can be found in the section On The Web in the last paragraphs of this article. For each malware scenario or case study, a sample was executed and the machine was consequently rebooted to view the malware’s effects. Each case study will be outlined with the necessary tools and steps to take on how to completely eradicate the above infection types. Note that after performing manual clean-up, it is advised to perform a scan with an (preferably) online antimalware or antivirus product. Most antivirus companies offer a free online scan and automatic removal. Rogueware is probably one of the most known types of malware nowadays. 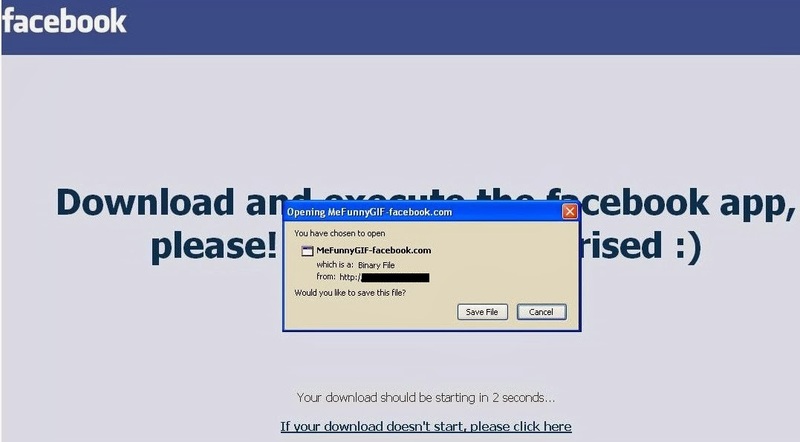 The reason is simple: when one gets infected with rogueware, annoying pop-ups will appear all over the screen, urging to buy their precious Antivirus, which has found enough infections on your machine to completely toast it – if they were real. Rogueware is simply blatant enough to appear fully on your screen, whereas most other types of malware will (try to) work silently in the background. In this first case study we will only make use of the tools Process Explorer and Autoruns, both created by Sysinternals. Let’s start Process Explorer and see what’s running! Most of the times, Google will have a history of this filename. If the search is turning up zero results, it’s an extra confirmation that it concerns a malicious process. Explaining why there is no file description or company name is simple: in earlier days – the days of Windows XP to be exact – the basic Task Manager did not display any file description or company name. So basically, there was no use in including it since it wasn’t displayed anyway. In Windows Vista, Windows 7 and soon Windows 8 Task Manager is improved. This malware hides in %appdata%, which is a system variable for the Application Data folder of the currently logged on user. What else can we deduct from this screenshot? The rogueware uses a Microsoft icon, thus trying to trick the user to indicate it’s nothing malicious. An effective trick indeed, but considering the previous factors, we can be sure this is a malicious process which needs to be terminated. A useful setting in Process Explorer is through Options > Verify Image Signatures. With this option, you’ll be able to quickly determine if a file claiming to be from Microsoft is indeed so or not. Note that these may be forged. Thanks to the Image tab, we are able to view the file location, any command line arguments there may be, but also if the file has a valid Image Signature and the current directory from where the file is executed. Let’s close this and start with the cleaning of this type of malware. First step is killing the rogueware by right-clicking the process in Process Explorer and choosing Kill Process. The rogueware will disappear like snow in the sun. Note that some rogueware is protecting or guarding each other’s process, so it’s possible you will have to Suspend a process first before killing its guardian. Afterwards you can kill the first process and the rogueware will not re-appear again. Navigate to the Logon tab and choose to delete it. Click Yes to confirm. Close Autoruns. If you are unsure about a Logon entry, simply untick the checkbox first instead of deleting it. A trick that is often utilized by malware authors is to hijack several antivirus processes to, for example, svchost.exe or to their own malicious program. They do this to prevent antivirus software from running and making sure their malicious program will be executed. Sometimes, Task Manager, Regedit, the Command Prompt (CMD) and other tools are hijacked as well. I’m sure you have encountered before that you were unable to run any of these built-in Windows features. The reason is Image Hijacks. We subsequently create a new String Value under this key with Value Name: Debugger and Value Data: svchost.exe. Now, even when the rogueware is still on the system, it cannot start since it will be forced to start svchost instead. Trojan horses or Trojans are typically data stealers and can copy themselves on your machine. They may also turn your machine into a zombie, which is basically a computer part of a botnet. Trojans often disguise themselves as legitimate programs; for example an upgrade of Adobe Flash Player, a crack or key generator for a game or Microsoft Office and many more. The Trojan has loaded a malicious version of a Firefox process, to effectively hide itself from users. After all, who would suspect a Firefox process to be malicious? You can search for Handles or DLLs via the menu Find. Svchosts.exe is the Trojan on itself, which we will see below. Note: for this reason, the Trojan has rootkit capabilities, which we will discuss in the next case study. In Figure 9 there are two entries highlighted: one under HKLM\SOFTWARE\Microsoft\Windows NT\CurrentVersion\Winlogon\Userinit, while the other one can be found under HKLM\SOFTWARE\Microsoft\Windows\CurrentVersion\Run. The Trojan has attached itself to the Userinit value, which will ensure that it starts right after a user logs in to Windows. It has also placed an entry in the Run key, as an extra check to start up with Windows. Let’s move on and start disinfecting the machine step by step. First step is to Kill the malicious Firefox process with Process Explorer. Open Autoruns again or should you not have closed it, refresh. You will see the first entry has disappeared. Now simply delete the other value. Tip: did you know you can easily access the Registry via Autoruns? Right-click an entry, select Jump To… and you will be taken there instantly. Very useful in cases where the Userinit, Winlogon or Shell Value keys are hijacked or altered. At this point, reboot the machine and verify with Process Explorer that there aren’t any malicious processes still present, or a malicious Firefox process. Verify with Autoruns that all startup entries are removed. Navigate to the folder where the malware hides and delete the responsible file(s). This concludes our second case study. In the next case study we will see how to handle a rootkit infection. Rootkits are a type of malware apart. Rootkits are software which can hide processes, files & folders, drivers, registry keys and much more from the Operating System, antivirus software and many security tools. Rootkits can also be used to gain and retain administrator privileges on a machine. Rootkits can perform many tasks, besides hiding themselves, they can also disable antivirus components, perform DLL injection (inject and run code in the address space of another process), hide other malware, download additional malware, provide an attacker access to the machine, turn the machine into a zombie, …. You get the point. After executing the sample, it gets deleted immediately. Let’s reboot the machine at this point and document our findings. Firing up Process Explorer and Autoruns still works normally, but there doesn’t seem to be anything suspicious. In this case, we will need to run some more specialized tools in order to uncover the rootkit’s modifications to the system. When encountering a rootkit infection, it is recommended to run at least three different anti-rootkit tools. Why? Note that we will only focus on the highlighted changes for now. The others are also from rootkit modifications, where it is denying access on certain registry keys for RootkitRevealer. Now that we have uncovered associated files from the rootkit, we can use Process Explorer again to verify if there has been any DLL injection. In our second case study, we have already briefly seen this occurrence. Besides injecting into svchost.exe, the rootkit will also (attempt to) inject itself in newly created processes, for example firefox.exe. This indicates there’s something stealth, which may be malicious, at address space F889C8BB. The code at this address space is probably used to prevent the scanning of registry keys by certain anti-rootkit tools, as was the case with RootkitRevealer. It is obvious by now the machine is infected with a rootkit. We will be using GMER to fully disinfect the machine. Right-click the service and choose Delete Service. If you receive an error, choose Disable Service. Reboot the machine. This concludes our third case study. In the next paragraphs you’ll be able to find additional information on how to handle a malware incident. Failing of Windows Firewall, Windows Security Center warnings. Microsoft Update malfunctioning. Not being able to execute antimalware tools. Not being able to visit websites from antivirus vendors. Redirections taking place in your browser to shady search engines. Severe slowdown of the machine. More bandwidth usage than usual. Suddenly finding software on your machine you never installed or never gave permission to. 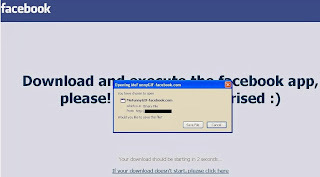 These are called Potentially Unwanted Programs (PUP) or Adware. Unexpected Blue Screens (BSOD). This might be due to a badly written rootkit for example. Unexpected errors or malfunctioning of antivirus and antimalware programs. If a tool is refusing to run, try renaming it to explorer.exe or svchost.exe. Some rogueware families will block all applications, but will allow system processes to run. If a tool is refusing to run, and you already tried above trick, try renaming to SomeName.com. It’s possible all EXE files are disallowed from running. There’s a tool called exeHelper which will restore the default values for PE (executable) files. Another useful tip is trying to boot the machine in Safe Mode. Some malware will only place a value in HKEY_LOCAL_MACHINE\Software\Microsoft\Windows\CurrentVersion\Run, which is ignored when booting in Safe Mode. Note that malware X won’t do much in Safe Mode, but can actually still be downloading additional malware if you decide to boot in Safe Mode with Networking. Rootkits can interrupt the execution of several anti-malware tools, where even above tricks won’t be able to help. In that case, you should try fixing the permissions of those tools. A very useful tool for this is Inherit. Just drag and drop the tool or program you want to execute on Inherit. Wait for the message box “OK” to pop up and you should be able to run it. Also in case of a rootkit or any other malware infection, it is advisable to change your most important passwords after fully cleaning the machine. Remember that when having encountered a rootkit infection and cleaning the machine, it is possible there are still infection leftovers. In case of doubt, reinstall Windows completely. In case of a bootkit, which infects the MBR, you need to boot the machine from the Windows installation CD, choose the Recovery Console, and type the command fixmbr in the command prompt. Press Enter and the MBR or Master Boot Record will rebuild. In some cases, the machine is infected so badly that it’s almost unworkable to run any tool. It’s also possible you cannot boot into Windows anymore. In such cases, you can use a boot CD or safe CD from an antivirus vendor. An alternative is the Sardu Multiboot CD or DVD and USB creator, which combines several antivirus rescue CDs. Or you can completely reinstall the machine. Tip: take regular back-ups of important files and folders! Do install an antivirus program – yes, you never use antivirus and you’ve never been infected before. Still, using antivirus reduces the chance even more. Do uninstall applications you don’t need – examples are Java and Adobe. If you do need them, update them frequently. Do uninstall browser extensions you don’t need. If you do need them, check for updates frequently. Do your updates. This includes Windows updates, antivirus updates, browser updates and any other software you may be using. Don't open email attachments from unknown senders - ever. Don’t click on everything on the internet. Meaning: use common sense when browsing the web. Don’t trust everything on the internet. If it looks too good to be true, it probably is! Don’t fill in your personal information or email address on random websites. Don't use the same password for each and every website! Implement proper password security. Don’t panic if you suspect you’ve been infected. Read the tips below on what to do if you are. · Stay calm, don’t panic. Disconnect yourself from the network. · Identify and kill malicious processes. · Identify and delete malicious autorun entries. · Reboot and repeat the previous steps. · Delete associated files and folders. 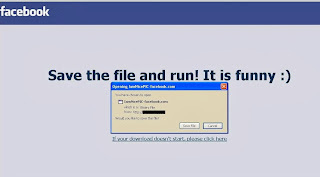 · Run a full scan with your installed antivirus product. · If disinfection is applied successfully, connect to the network again. If possible, connect to a separate network first to verify everything is indeed back to normal or not. Perform an online scan with another antivirus product than the one you have installed. · Stay calm, don’t panic. Disconnect yourself from the network & contact your network administrator. o What were you doing at the time? Did you notice anything special? What was the time and date anyway? o Why do you believe your machine is infected? Which steps did you take already, if any? Did your antivirus prompt? o Inform your co-workers you’re going for a coffee break. This concludes our three case studies – rogueware, Trojan Horse and rootkit. I do hope that you have enjoyed reading the article and going carefully through each step. We have seen three different case studies as described above, but it is totally not uncommon to have all three types of malware on the same machine. For example, certain families of rogueware have been seen to drop the infamous TDL4 rootkit variant. Goal is to ensure the persistence of the payload on the machine. Therefore, it is advised to always use an anti-rootkit as well. Remember that some malware is more advanced than others, and it might take you some time to fully disinfect a machine. Sometimes it’s easier, quicker and cleaner to perform a reinstallation of the operating system. If you’re ever stuck, there are many forums out there specifically for helping you in cleaning malware off an infected computer. As quickly as malware is evolving, so are the people who are constantly battling them – whether this would be antivirus companies, independent malware or security research folks, agencies and governments… Join our cause in making this world a malware-free environment and educate everyone around you, each day. Address space – in this context, memory address of a process. Dropper – a dropper is a program that installs or downloads additional malware on a system. LoveLetter – also known as ILOVEYOU worm – spread mostly via email, infected millions of machines. Master Boot Record – first 512 bytes at the first sector of a hard drive. Payload – modifications or damage done by malware. Zombie – computer infected with malware and possibly compromised by a hacker. Zombies are typically part of a botnet.